Beck-The hollowed art of optimism. 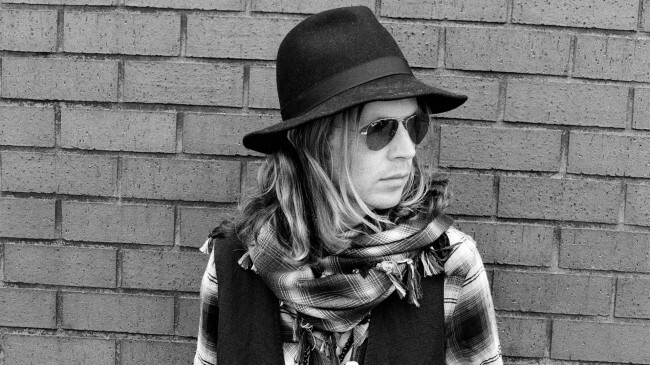 Beck has recently released the highly anticipated album titled Morning Phase. This is Beck’s first album with Capitol Records, which like many of his previous albums, he produced as well. The album pronounced, significant and vastly different from his previous work. This is because Beck Hanson is a bona fide genius that somehow creates immaculate albums while remaining zany, mysterious and free of media jeopardy. Morning Phase was highly anticipated after six years of Beck taking a recording hiatus. This is by no means to say he has been slacking as he has been touring the world, collaborating with others and raising his two children-Cosimo and Ribisi- I know those names make my heart burst as well. The album is one of his more melancholic pieces, reminiscent of 2002’s Sea Change. This is becauseMorning phase is actually a “companion piece” to Sea Change in that it is intended to be an extension to the first album and contains most of the same musicians. The intentions of both albums are to “harness the darkness yet illuminate optimism”. This intention is eerily prevalent in both of these pieces of work. This is a more serious side of Beck that flaunts his undeniable talent. His lyrics are tragic lullabies that make one want to reflect on the meaning of everything. Each song is delicately strung together like a diamond bracelet that is subtle and precious. He truly invites listeners in, asks them to take a seat, get comfortable and lose themselves in the abyss of their own beautiful and messy insides. However, it remains tranquil and not at all self indulgent or celebratory of misery. The single and immediate hit “Blue Moon” is a strong representation of the entire album- strong yet mysterious, poetic but not pretentious. The album is considerably less bizarre than his previous work both lyrically and musically. Most of the lyrics mean what they say which isn’t always the case with Mr. Hansen. For example the great track mid way through the album “Don’t Let it Go” expresses the following: “ These are some faults we found, hollowed out from the years, don’t let them wear you out, don’t let them turn your mind inside out” which is considerably different to previous lyrics such as “ My time is a piece of wax, fallin’ from a termite that’s choking on the splinters” from the ever wonderful song “Loser” from 1994’s Mellow Gold. My personal favorite track on Morning Phase is “Wave” which is surreal, spooky and well suited to gazing at the stars in the middle of some phantom night. Although there are many angles to Beck like David Bowie or Devendra Bahnhart he somehow remains unquestionably himself. He has a refined sound like no other and isn’t often mistaken for another. The album and experience ends with “Waking Light” which is suitable to the theme of the album and releases listeners back into the world, likely in a more insightful state. The album is sobering and somber but uplifting, which is exactly the intention. Morning phase is yet again another interwoven masterpiece from Beck but how can we be surprised? ← Coachella part one and the problem with the problems.